Every year Princesshay supports a local charity. In 2019, we are proud to be partnering with Living Options Devon. Living Options Devon work to ensure that people with disabilities and Deaf people have the opportunity to live the life they choose. They believe accessibility matters. The charity is a user-led organisation meaning they have a first-hand understanding of the issues facing disabled and Deaf people. Every year they support over 6,000 disabled and Deaf people through advocacy, engagement services, training, volunteering opportunities, outreach projects and accessible support services. Their work can focus on tackling discrimination, access issues, social isolation, communication barriers and lack of opportunities to live the lives they want, enjoy independence; gain employment, know their rights and to find the courage to voice those rights. Grants and donations are key to being able to do this work and provide vital support services. 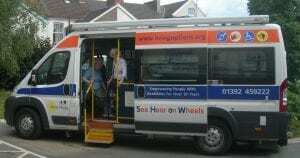 See Hear Centre – an equipment and support centre providing a service that was set up by people who themselves had a sensory loss, including the See Hear on Wheels bus. Heritage Ability – Helping over 20 heritage sites across the region become more accessible for disabled people. 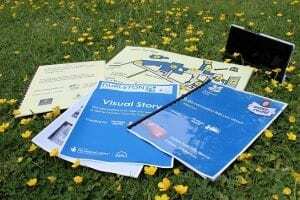 This includes easy read documents for people with a learning difficulty, British Sign Language video clips for Deaf people and providing all-terrain mobility scooters for people with limited mobility. Countryside Mobility makes it possible for people with limited mobility to spend quality time with friends and family in countryside locations. 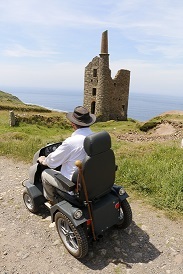 The project provides all terrain wheelchairs to around 50 countryside sites across the South West. Deaf Get Active and volunteer – Living Options Devon runs a number of Deaf-led services including the Deaf Get Active and Volunteer project, encouraging and helping Deaf people to be more active. Time to Talk – is a phone service with a team of volunteers offering peer support, signposting and referrals. For Deaf people who use British Sign Language there is a webcam service, provided by people who are fluent in BSL. It aims to reduce loneliness and isolation amongst Deaf and disabled people. Engagement is all about reaching and targeting people around proposed changes in services – particularly council and health care – and exploring new ways of working or seeking views from particular hard to reach groups in relation to a particular topic or issue. Victim support – a project that provides services to disabled and Deaf communities across Devon. It offers support for both reported and non-reported crimes, helping the victim to overcome the effects caused by a crime. We need more volunteers! Living Options Devon always welcomes the help of volunteers, whether it be helping with fundraising, general admin around the office or covering reception. We currently have a small team of regular volunteers but are always on the lookout for extra help.